Having always been the first in the Turkish elevator sector, Has Elevator has organized the “National Lift Cabin Competition” which is the first time in Turkey to be able to bring up the interest of the sector and the innovative ideas about elevator cabin. The different projects reaching us for the highly acclaimed National Elevator Cabinet Competition were evaluated by a team of expert juries. 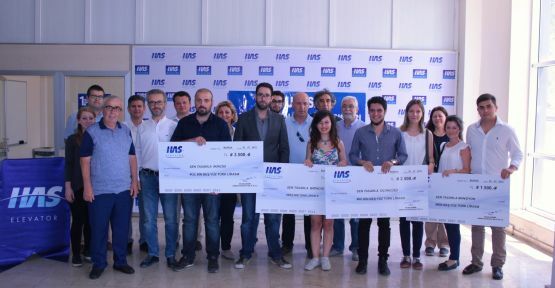 The owners of the innovative, feasible and distinctive projects were again awarded by Has Elevator. The basis of this competition is to be able to draw attention to the elevator sector and then to provide opportunity for sector entrepreneurs whose idea is not enough capital. Has Elevators Technical and Industrial Vocational High School, which was started by HAS ASANSÖR in 2006 and delivered to the Ministry of National Education in 2010, has begun teaching the same year. In accordance with the purpose of the school construction, both the Anatolian Technical Program and the Anatolian Vocational Program are applied to the Electromechanical Carriers (Elevator and Escalator) maintenance repairman. 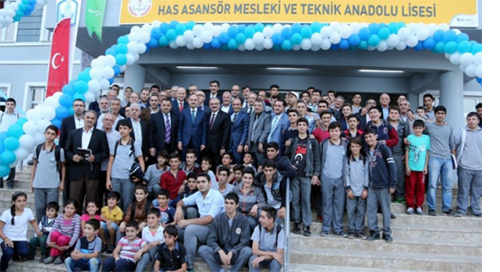 Anatolian Vocational Program is also applied in the field of Steel Construction from Metal Technology. The school consists of three separate units. There are 24 classrooms, 1 library, 2 multipurpose rooms, 4 laboratories, canteen and administrative sections. B block is on the electricity side; There are 6 classrooms, 3 lab workshops, administrative part, library and multipurpose hall in 6 workshops. C Block Metal Technology Workshop 5 Workshop 3 Classrooms There are workshops, administrative parts and warehouses. Also the lift trainings are provided by Has Elevator. Has Elevator Technical and Industrial Vocational High School aims to provide educated workers with a capacity of 1000 students. The basic equipments of all the workshops are also covered by HAS ELEVATOR.